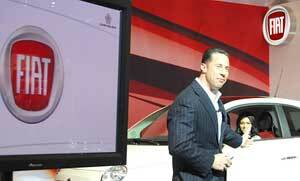 Reid Bigland has been holding down the fort at Chrysler Canada as president and CEO since July, 2006. The B.C. native and former president of Freightliner Custom Chassis Corporation succeeded Stephen Landry. He enjoyed some early sales and market share growth, but after a tough 2009 that saw the Chrysler enter bankruptcy protection in the U.S., Bigland talks to Canadian AutoWorld about his hopes the future and getting back to form in 2010. Describe the movement on the Chrysler Canada’s dealer network over the last 14 months. There has not been a lot of movement. We have had just a little in and out from a Chrysler Canada dealer perspective. We picked up about five displaced General Motors dealers in the past few months, so GM’s downsizing has been able to serve us well in being able to fill some incremental open points throughout Canada. All in all, our dealers achieved strong profitability through a very difficult 2009. 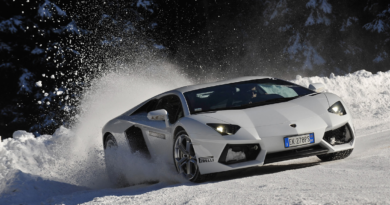 Ninety per cent of our dealers were profitable in 2009 and so far to begin 2010, numbers are stable. We are at around 440 dealers. What about recent sales success? We were fortunately up in retail sales this month [March figures] 36 per cent which is really dealer sales. That is four consecutive months of retail sales up in excess of 20 per cent for Chrysler Canada and dealer profitability has flowed along with that. We’re feeling pretty good about March. We set a number of sales records but there is always room for improvement. What is your biggest challenge in 2010? The biggest challenge to start 2010 was to get back to our groove, get back to being the second-highest selling vehicle manufacturer in this country – a position we held throughout mid-2006 until mid-2008 when the roof caved in on us. Just to put it in context, in June 2009, we hit a market share of 6.6 per cent. But I am pretty proud of what the team here has accomplished. We finished the year at just over 12 per cent market share with retail sales up 26 per cent. And going into March, we had a year-to-date market share of 14.1 per cent. Our market share has snapped back well in excess of 100 per cent from where we were at the depths of our restructuring. That’s what I would say was our biggest goal going into 2010. It’s now a matter of staying sharp and staying focused to keep it going. The Fiat 500 is expected in showrooms by the end of this year. What are your expectations for Fiat in Canada? The car is well suited to the Canadian market because it’s going to get close to 60 miles to the gallon. Small and compact vehicles represent 42 per cent of the Canadian market. On paper, it’s looking quite promising. But you never know until the vehicle gets there. We did the reveal at the Toronto Auto Show and I was very impressed with the attention we got. My expectations each day are beginning to grow for the Fiat 500 and how it will do in Canada, but we will never really know until it is here. They are very excited to get it. We haven’t declared what the requirements are and who is going to get the 500; the only declaration I have made is that you have to be a performing dealer. They see it as an incremental entry to our product portfolio. We currently do not have a B-segment. This should bring a new clientele and demographic into our dealerships that has been missing throughout Chrysler portfolio, pretty much since our existence. How will the 500 be showcased at the dealership? Any imaging in the works? We’ll expect dealers, at the very least, to partition an area off within their dealerships where the Fiat 500 brand can get equal billing to that of the Chrysler, Dodge, Jeep and Ram brands, so it’s not going to get lost in the crowd. Can Chrysler make money with small cars in the Canadian market? We can. Our entries right now are the Dodge Caliber, Jeep Patriot and the Jeep Compass so we have the two most fuel efficient SUVs in Canada. Those are all profitable entries for us in the small and compact vehicle segment. The Fiat 500 is in the true B-segment. One of the areas that will allow us to make more money is clearly our collaboration with Fiat. 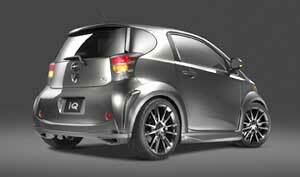 It is a world leader in small and compact vehicles and technology. What we’re getting with the Fiat 500 is ultimate leverage of our partnership with Fiat making the scale already there as soon as the product hits the market. How did Chrysler’s bankruptcy protection in the U.S. last year hurt Canadian operations? It hurt our operations considerably because during that bankruptcy period, we shut down all of our global assembly plants for almost two and half months. It starved us and our dealers of product, which was certainly evident of our market share back in June and July and even August of last year. The other impact was that we lost our captive finance company in Chrysler Financial, so 80 per cent of our dealers lost their ability to floorplan a vehicle, which was absolutely devastating. Now GMAC has stepped in and assumed those floorplanning lines. Also during that creditor protection period, we had about a three-month process where our dealers, even if our plants were functioning, couldn’t accept a vehicle. It was a terrible blow, but as they say, what doesn’t kill you, makes you stronger. And I think we’re a lot stronger as a result. Chrysler CEO Sergio Marchionne lived, studied and worked in Canada for a period of time, do you feel any additional pressure to impress the boss? I don’t know if it’s any more pressure. He definitely understands Canada and the political and geographical landscape. And he is an incredibly smart person, not only from an academic perspective – he has more degrees than a thermometer – but he also has tremendous street smarts and sense about business not only in Canada, but around the world. He is a true globetrotter running huge operations not only in Europe but North America now with Chrysler. What can people expect to see in the months to come from Chrysler? You can expect a lot of new products. The first one on deck is the completely redesigned Jeep Grand Cherokee. We have the new Chrysler 300, Dodge Charger, a full-sized crossover vehicle in the fourth quarter of this year and then the Fiat 500. That’s not including a number of refreshed vehicles. By the end of the year, about 75 per cent of our current product portfolio will be all new or significantly refreshed. I hope you can expect to see continued retail sales growth, overall sales growth and continuing on our little streak of four consecutive months of year-over-year sales growth. I am optimistic we can keep that going well into 2010.